There are so many reasons to start using WordPress for yoga teachers. WordPress, for meditation and yoga teachers. Once you get the best WordPress yoga themes, Wordpreess yoga plugins, and your SEO setup, you can start using WordPress to grow your yoga business online. Not only will you grow your yoga business, you can even use WordPress to book yoga classes online, making your organisation so much easier! Ultimately, you want to use WordPress to attract new members to your yoga studio. The key to doing that is through SEO (search engine optmisation). WordPress is simply the best way to get your yoga studio online and to get your yoga website’s SEO up and running. One of the most important parts of your yoga SEO plan is setting up WordPress the yoga-teacher way (yes, there is a special way). And to do that you need to install the best yoga themes and the best yoga plugins, as well as nailing the basics. I’ve been using WordPress for yoga sites and meditation sites for years—not least for my own site, THE DAILY MEDITATION. And when it comes to those specific WordPress yoga themes and WordPress yoga plugins—well, you might be surprised. Obviously, I can’t share everything in one blog post, there’s just so much I’ve learned over the years. That’s why I’m going to give my top tips here, and I am very happy to work with meditation teachers and yoga teachers on WordPress. Contact me today (or right now) and let’s discuss your project in-depth in a consultation. Now on with my guide for WordPress for yoga teacher and meditation teachers. 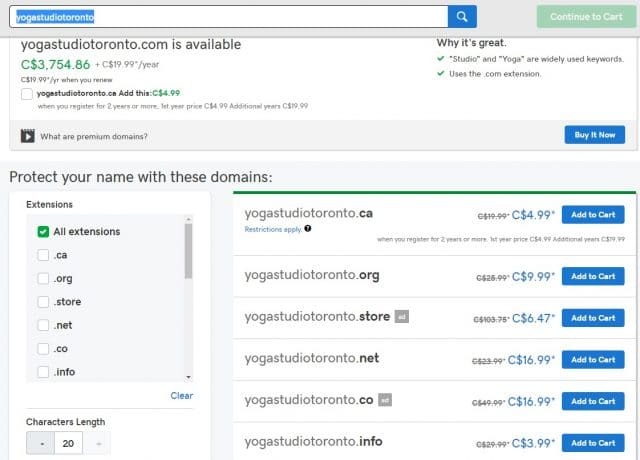 First thing is to buy a domain name for your yoga website. A domain name is the address of your yoga website. You do have the option of using a free WordPress-hosted domain. But this imposes limits on your site and is simply not ideal for anyone looking to seriously succeed online. At some point in time you are going to wish you created a yoga website / meditation website. with your own domain name registered. Why not do it now? Hop over to a domain registrar, such as GoDaddy, and choose a domain name. Domain names massively vary in price, so be sure to checkout a few different options so you get a good domain name within your budget. Choose a name that represents your yoga business’ brand persona. Include your keyword in the name (so, “yoga” or “meditation”)—this helps with SEO, which we’ll get into later. Create a domain name that has a pleasant ring to it. Ignore all the fancy .com alternatives, these are just a gimmick designed to hep registrars make money. Stick to .com or .ca / .uk, and other classic options like .biz. As important as you think those WordPress yoga themes / WordPress yoga plugins are, your domain name is ten times more important. The web host is the hosting service provider where your website will actually be hosted. Choosing a web host is a big deal and there are many in-depth articles on how to choose the right one for you. In the beginning you will only require a basic host with a relatively cheap package. 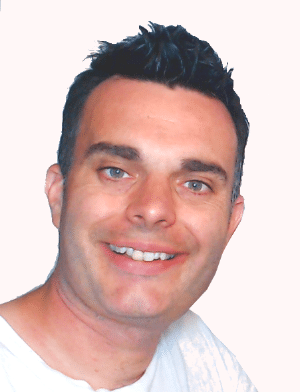 I personally use the GoGeek plan on SiteGround for my sites, which is suitable for up to 100,000 pageviews per month. I really enjoy their customer support and (touch wood) they’ve been pretty easy to work with so far. WordPress is by far the most popular CMS (content management system) in the world. And because it is so popular, there are far more guides and tutorials on WordPress than on any other CMS. This makes it a lot easier for beginners to get started. Here’s a great guide to getting started on WordPress. Your web host will help you to install WordPress on your server so you can start using it. Once you’ve got your yoga blog on WordPress, install a high-quality free WordPress yoga theme or a general theme (choose a theme that has very positive reviews. I generally only choose themes with 4+ stars from 100+ reviews). 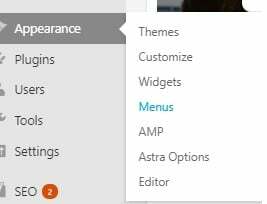 These themes are freely available via the WordPress theme directory. Currently for this site I am using the Hestia theme. This is not a WordPress yoga theme specifically, but it is very good. Note that while there are some specific WordPress yoga themes, you don’t need to be so specific as to choose a WordPress yoga theme specifically. Just choose a good generic WordPress theme for your yoga blogs, one that has a lot of excellent reviews. That’s the safest bet. 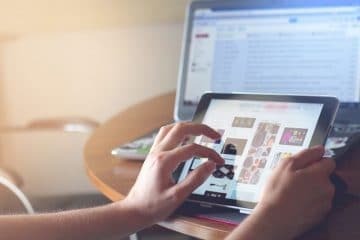 There are a few important pages and items every website should have. [here’s a list of the most important ones]. Now get typing away and create your About Page and other pages. As well as those pages in the link above, you will also need to give your website a navigation menu that highlights your most important pages. This is important for both the usability and for your yoga blog’s SEO. For both the ease-of-use and SEO of the yoga blog, I recommend creating a very simple menu with a few clear options. This will make it easier for people to use your site, which will increase your conversion rate (the number of people who come to your site who actually sign-up for a yoga lesson / meditation lesson). When people visit your yoga site / meditation site, you ultimately want them to book yoga classes on WordPress. That’s the whole purpose. And that’s why you should create your entire WordPress yoga website around the idea of having people contact you to book classes on the WordPress blog. To get people to book yoga classes on WordPress, you‘ll need to install a plugin. There are a number of Worpdress plugins for yoga class bookings (and class bookings in general). 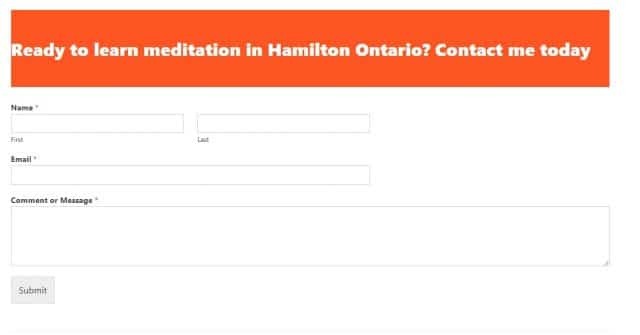 These WordPress plugins let you create sign-up forms and Contact Us forms so it is easier for your visitors to book yoga classes online. Below I’ve shared some WordPress yoga plugins for booking yoga classes online and keeping your class schedule organised. If you’re not looking to book yoga classes on WordPress directly, simply install one of the best contact forms so people can email you. I personally use a simple contact form from the WPForms plugin—which is easy to use and setup (the plugin includes a guide to show you how to create the form). The key to creating WordPress forms for your yoga website is that they be easy to use and foolproof. With your Contact Us form, people can email you directly to sign-up for a lesson. Remember: this is the whole point of your yoga blog or meditation blog. So make triple sure this form works—send yourself a few test emails. When beginning your WordPress yoga website / meditation website, I highly recommend creating just a handful of blog posts, and making each of them very high quality. This will boost the SEO [search engine optimisation] of your yoga site and will help you to learn how to create good blog posts [TUTORIAL]. It is imperative (especially in the beginning) that you create only high-quality posts that are very specifically targeted to your meditation website / yoga website. For instance, if you’re creating a website for a yoga teacher specialising in Vinyasa, create three or four very high-quality posts on the subject. The purpose with these blog posts is to create super-helpful articles that make people a) like your blog, b) want to know more about you, and c) book yoga classes online. 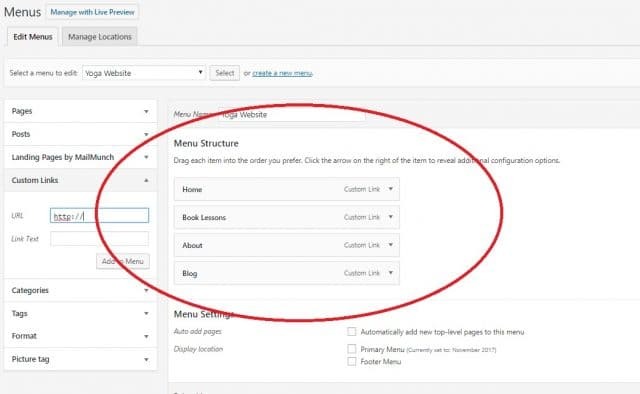 To start writing your blog post, log-in to your site, and choose the Posts > Add New option. Next, you will want your meditation / yoga WordPress blog has Google’s most important web-tools installed. The most important tools for a yoga teacher’s / meditation teacher’s website are Google Analytics and Webmaster Tools. Google Analytics allows you to see how people are using your site. 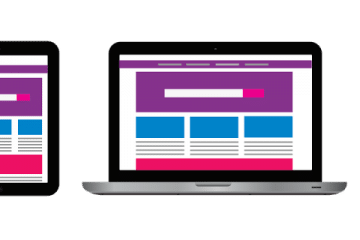 This is incredibly important for finding any issues with your site in terms of usability, and for optimising your site. Webmaster Tools is an essential tool for discovering potential errors, particularly with your SEO, and for seeing the keywords people are using to discover your yoga website. There are lots of good Yoga WordPress plugins, free and paid. These are extensions for WordPress that give you additional functionality. There are thousands of WordPress plugins. They range from amazing, to bad, to harmful—even though WordPress tries to remove harmful plugins, some still remain. So, which WordPress yoga plugins should you use for a yoga or meditation website? WP Simple Booking Calendar: WP Simple Booking Calendar is, as you probably guessed, a simple plugin that lets you maintain and show a list of events to your visitors. This is how to book yoga classes on WordPress. Birch Scheduler is an appointment booking manager. Its got a free option and a paid option. With this WordPress plugin, yoga and meditation teachers can let people book lessons and also maintain the scheduler so you don’t forget who your teaching when. For yoga studios / meditation studios, this plugin can even manage staff schedules, helping you to manage the studio as a whole. This is another way how to book yoga classes on WordPress. There are so many ways to use WordPress for yoga teachers and meditation teachers. In this guide I have hoped to show you the basics of setting yourself up as a yoga / meditation teacher on WordPress. Now time to move on to Online Marketing For Yoga Teachers And Meditation Teachers. And remember, I’m always happy to help you with this. Contact me today and let’s get working on your project so you can be a successful meditation or yoga teacher online and offline.